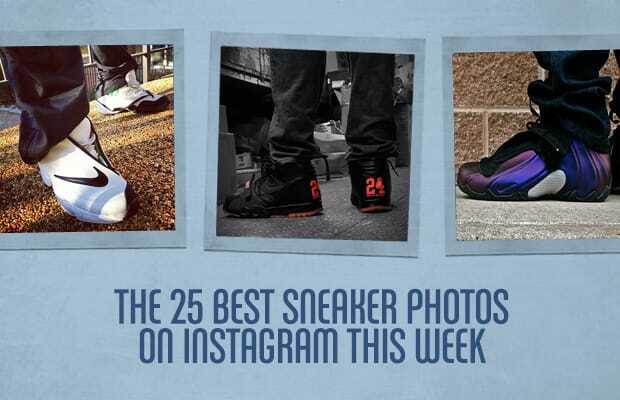 During the week, Complex scours Instagram to see what fresh kicks people are rocking. We pride ourselves on rocking our kicks not stocking them, so we’ve compiled the best on-feet sneaker photos ranked by heat and quality of the sneaker from celebrities as well as people who use the #ComplexKicks tag (we will also occasionally pull from #IGSneakerCommunity). If you wanna get your shine on, you must post photos dated for the given week — no re-tags allowed. Click on the thumbnail above to view the gallery, and see who had the best sneakers this past week on Instagram. Did you make the cut?